Over the years Ricardo Clarke has been involved in and has created many social, spiritual, community, youth and entertainment efforts. Seeking to empower, uplift, encourage and enlighten humanity in the Bahamas. The success of events such as Jubilee Jam, Dream Night, A Night of Praise and the Uprising Conference, has created anticipation and interest for future happening. Ricardo is known for his inspirational messages that have made him a requested name in Churches, schools, workshops and conferences. Recently, he has been enjoying a budding music career locally and his songs receive a lot of local as well as international airplay. Singing, song writing and composing music have become second nature to Ricardo Clarke. Being part of a musically inclined family Ricardo grew up with music around him. In 2007 he was asked to participate in the “Youth Alive Soundtrack” 2007 for the Bahamas Faith Ministries and he found himself at the forefront after the success of his song “Last Days”. This was the point also when Ricardo decided to take his music career to the next level. Over the last year Ricardo has created a buzz about his music and his songs reach out to a local Bahamian as well as an international audience. 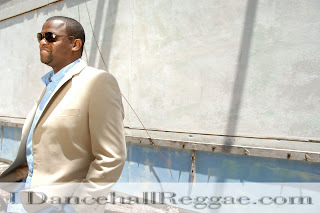 Recently he has worked with some of the best European reggae musicians and live bands. His singles “Sound of Rain” and “Not Settling” were featured on his debut album entitled “Uprising”. Ricardo’s main aim is to encourage people to “not settle in anything”. He hopes that people will be inspired to see their value and pursue God’s limitless future. His follow up album “Uprising Special Edition”, produced together with French reggae band NMB was also successful featuring the singles “Why Did You Go” and “Rocky Road”.